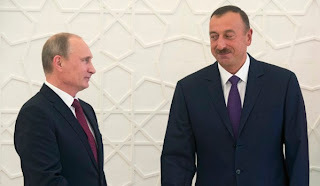 Rasim Musabekov, a member of parliament and political analyst, told reporters that one aim of Putin's visit was to give Baku a warning not to cooperate too closely with the U.S.
Azerbaijani President Ilham Aliyev said Tuesday that his country’s defense industry collaboration with Russia is worth $4 billion and keeps growing. Russia's defense industry is booming and has definitely profited from Aliyev's shopping tour but considering against whom these weapons might be used in the future, Moscow's arms exports could raise some questions among the Russian population. “Azerbaijan is asking such a high price for its assets that Rosneft is not willing to offer,” a Russian energy source said, asking not to be named. 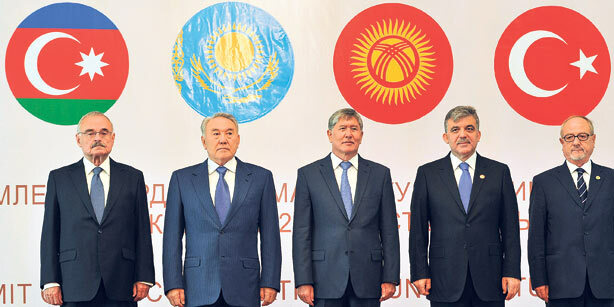 A Socar source also said a lot of work needed to be done to iron out the differences. "The Turkic-speaking countries need to restore the historic Silk Road which has both political and economic significance for the world. The modern concept of the Silk Road comprises collaborative energy, transport and logistics projects that will aid the development of the entire region. All of these projects will transform the Turkic world into the centre of the world economy and development," Turkish President said. According to him, the construction of the Baku-Tbilisi-Kars railway is a strategically important project. Turkish contractors had signed the deals worth $5.6 billion of projects in Turkmenistan from January to the end of July 2013, Economy Minister Zafer Çağlayan announced in a written statement, reported Hurriyet Daily News. Turkish construction firms undertook the largest number of projects in Turkmenistan during the first seven months of the year, with a total of 33 projects. ENKA is one of Turkey’s largest construction companies working in Russia. Kekhursayev said large Turkish companies working in Russia, including ENKA, funded the seizure of Chechnya’s capital Grozny in the summer 1996, adding that they “had done much” to assist militants. "ENKA was in fact involved in funding Chechen terrorist groups and even more. However, the funding was channeled via ENKA; not sourced to it. ENKA was (and probably still is) one of many Turkish companies used by the US government, specifically the CIA and the State Department, catering to objectives set by American actors mentioned in this article." Ilyasov is the third cleric attacked this year in Dagestan, according to the Kavkazky Uzel news website. Eight more Muslim clerics, including the head of a powerful Sufi brotherhood, were killed in Dagestan in 2012, it said. Most of them were opposed to Salafism, an austere, militant sect of Islam whose opponents want to establish an independent Islamist state in Russia's Northern Caucasus and other regions with a sizable Muslim population. 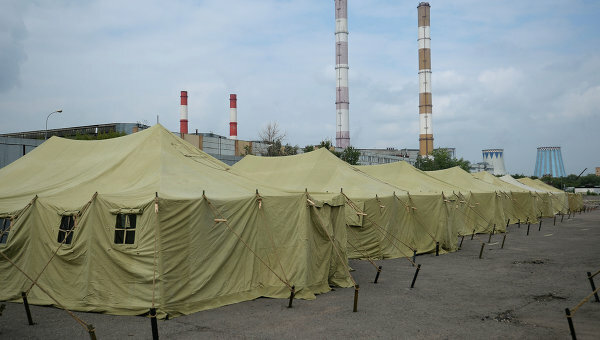 Police said they have detained hundreds of illegal immigrants in weekend raids in at least eight of Russia’s 83 regions, following similar operations in the country’s two largest cities, Moscow and St. Petersburg. 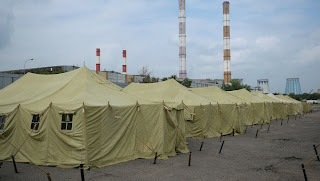 Russia’s Federal Migration Service says it wants to create a “network” of 83 detention facilities for foreigners awaiting deportation, just days after it set up a tent camp for hundreds of labor migrants detained in Moscow last week. Antonov said Moscow is “doing very much to strengthen our contingents” in the former Soviet republics of Tajikistan and Kyrgyzstan ahead of the pullout. "They had a conversation on specific issues like regional security and counter-terrorism, Shanghai Cooperation Organisation, (SCO), energy security, development partnerships, and people-to-people contacts with the countries of the region," the release said. The Chinese side briefed the Indian delegation on China's vision of its relations with Central Asia while the Indian side described details of India's "Connect Central Asia" policy, it said. 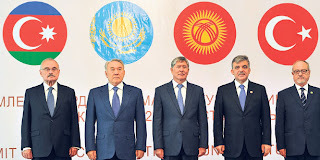 The dialogue on Central Asia was followed by the first ever talks held by the two countries on Afghanistan, especially on the situation emerging due to planned pullout of US and NATO troops from the war-torn country by next year that has sparked concerns over the likelihood of the return of the Taliban and al-Qaeda. The dialogue reflected the growing engagement between the foreign offices of India and China and comes after similar comprehensive dialogues on Africa, West Asia, and counter-terrorism issues, the release said. After four years as the NATO supreme commander, and therefore overall strategic commander for operations in Afghanistan, I believe the correct number is about 9,000 U.S. and 6,000 allied troops, for a total of about 15,000 allied trainers who would focus on mentoring, training, and advising the 350,000 strong Afghan National Security Forces. The 350,000 ANSF troops operating today are doing a good job this fighting season -- their first with responsibility across the entire country -- in taking the fight aggressively to the Taliban. 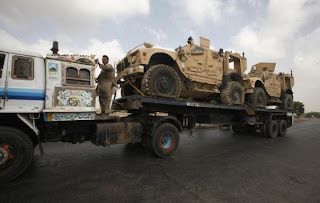 There has been a sharp drop in U.S. and allied casualties, a natural outgrowth of the NATO force stepping back and letting the ANSF do the fighting. This augurs well for potential success if we stay committed to mentoring and training the Afghans.